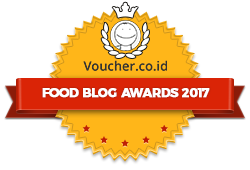 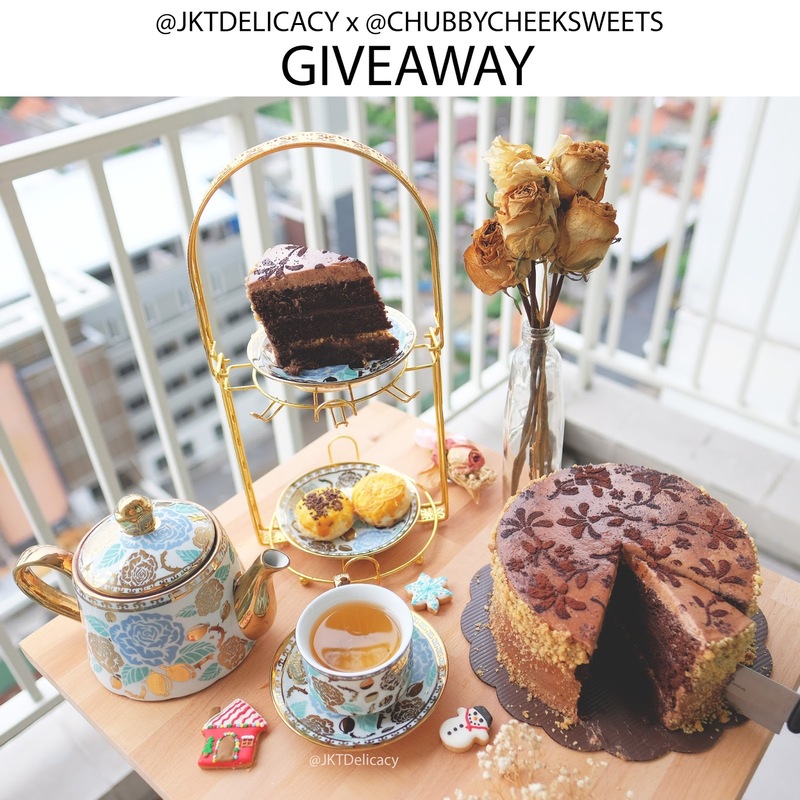 JKTDelicacy.com: JKTDELICACY x CHUBBYCHEEKSWEETS - Giveaway! 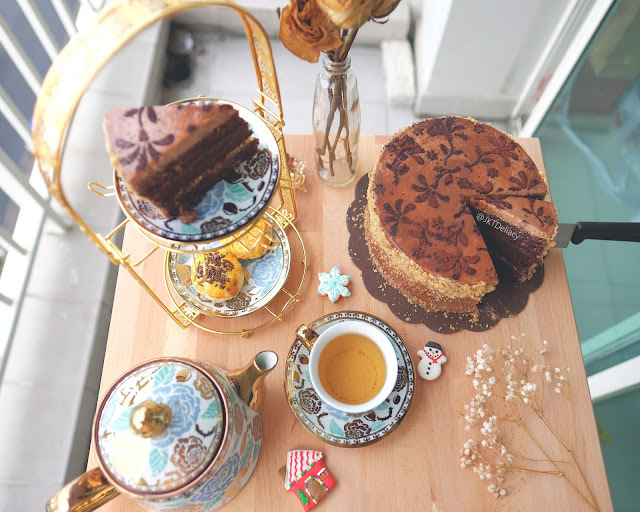 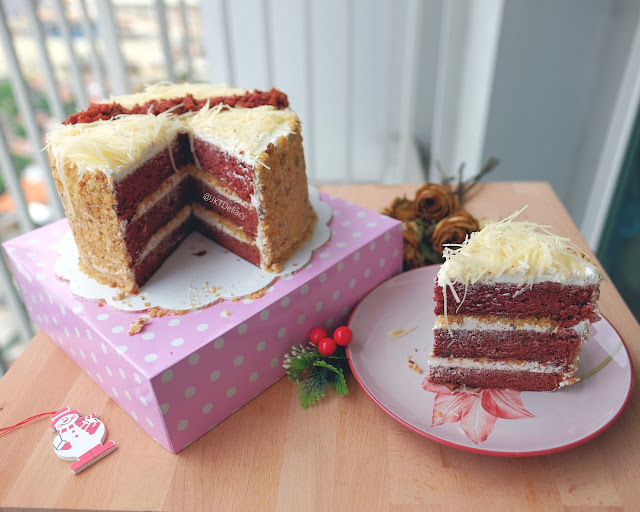 @Chubbycheeksweets is an online Cakery Store specializing in mouthwatering cakes from Chocolate Cake, Cotton Cake, Red Velvet, and many more. 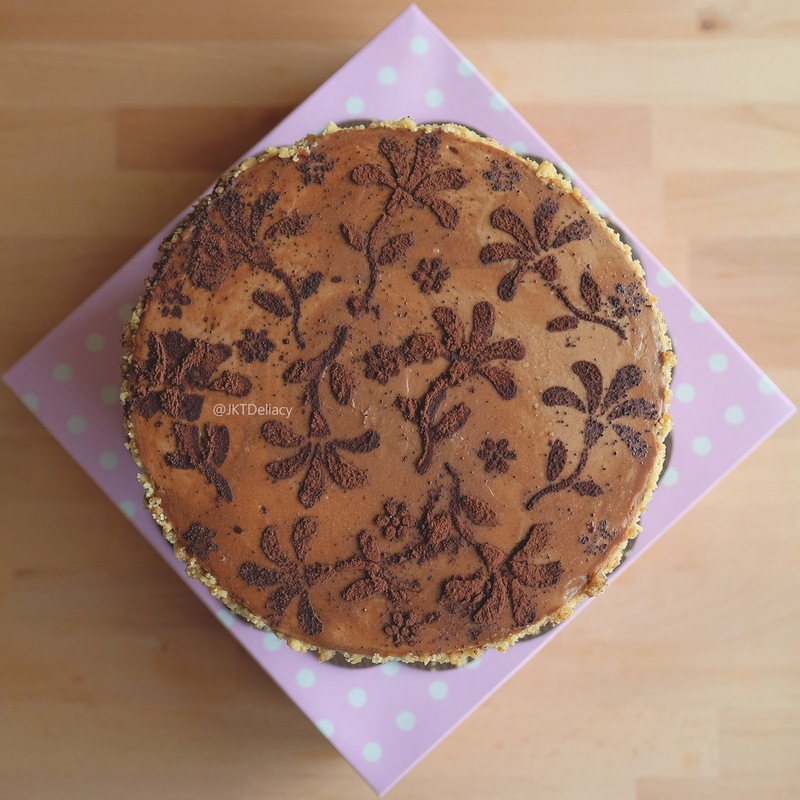 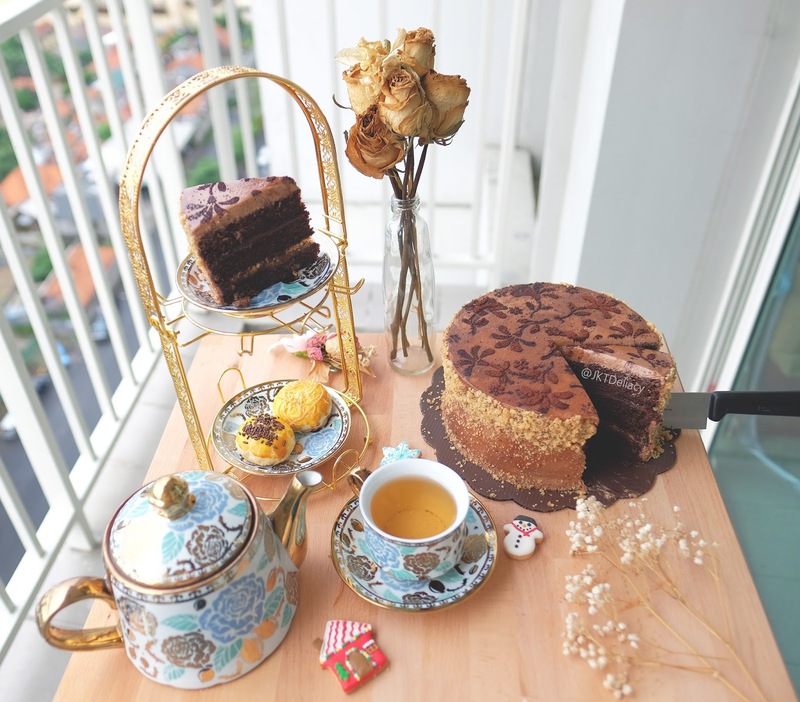 This time, we are giving away the best of the best Choco Delight 3 Layers Cake just for you! 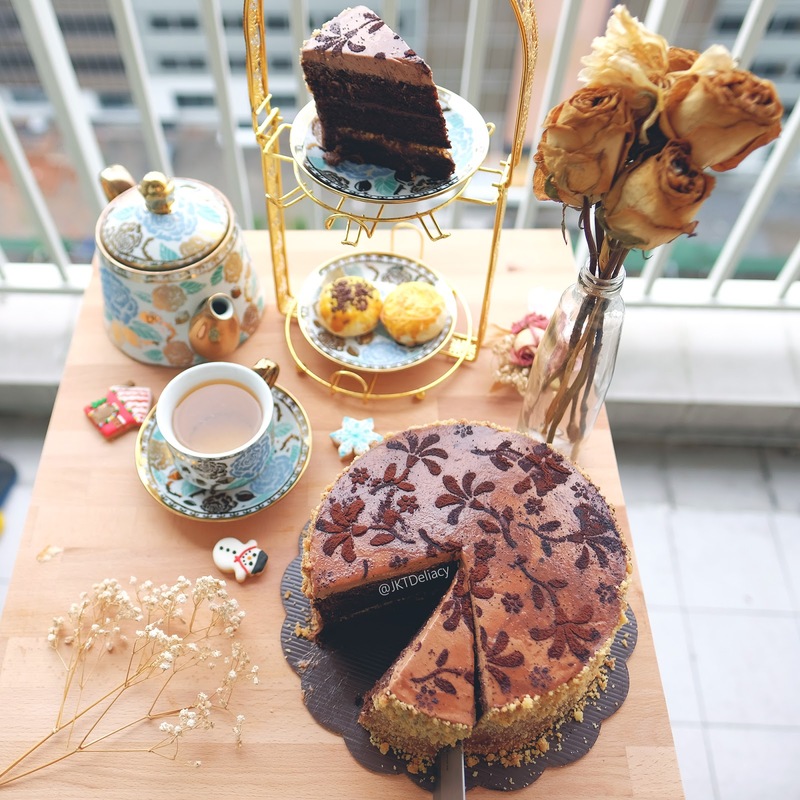 The High Tea Set above is for illustration only. 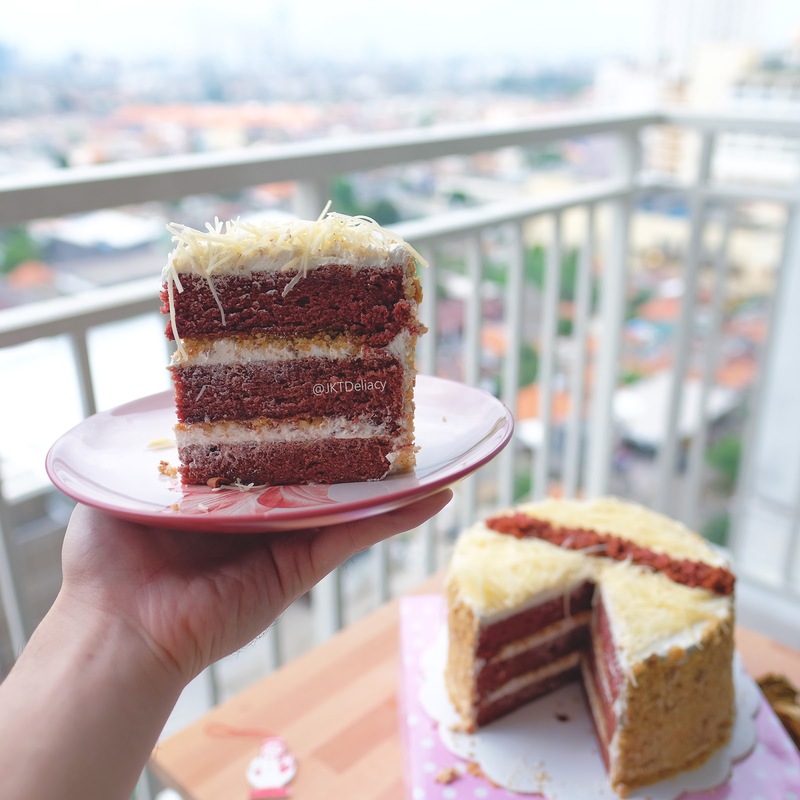 What you get is a Full Round Choco Delight 3 layers cake 18 cm (3 tiers) by @Chubbycheeksweet. 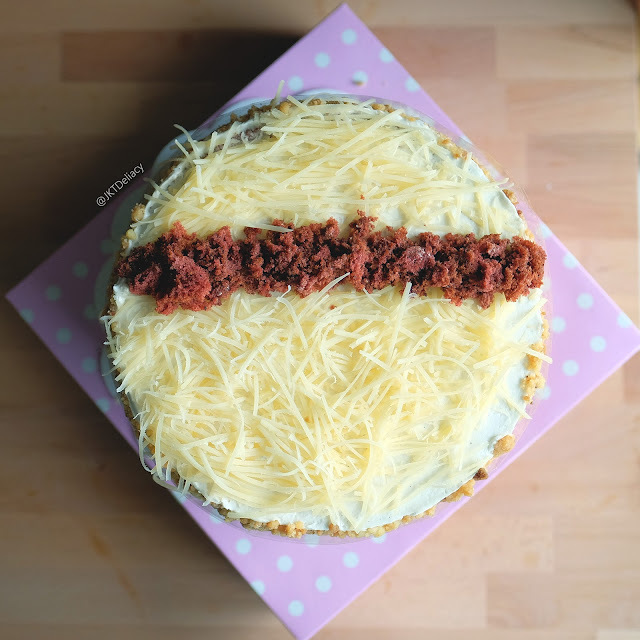 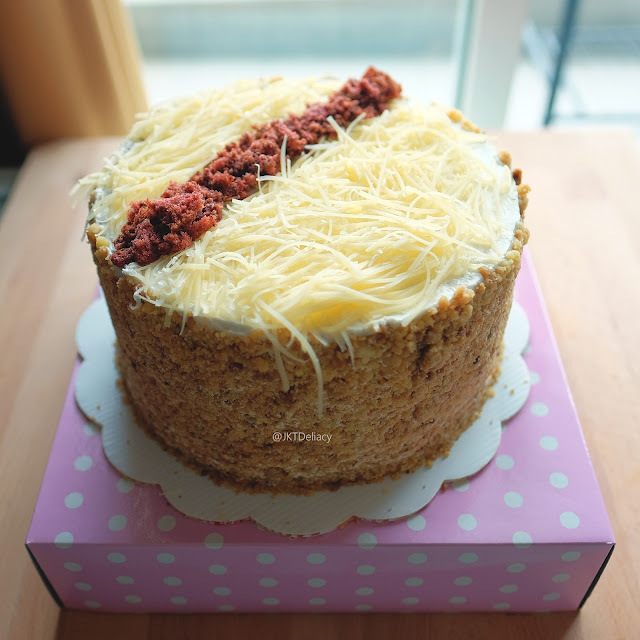 My other recommendation from @Chubbycheeksweet is their signature Red Velvet Cake with Crunchy Crumble and Grated Cheese on top. This is really a Guilty Pleasure! 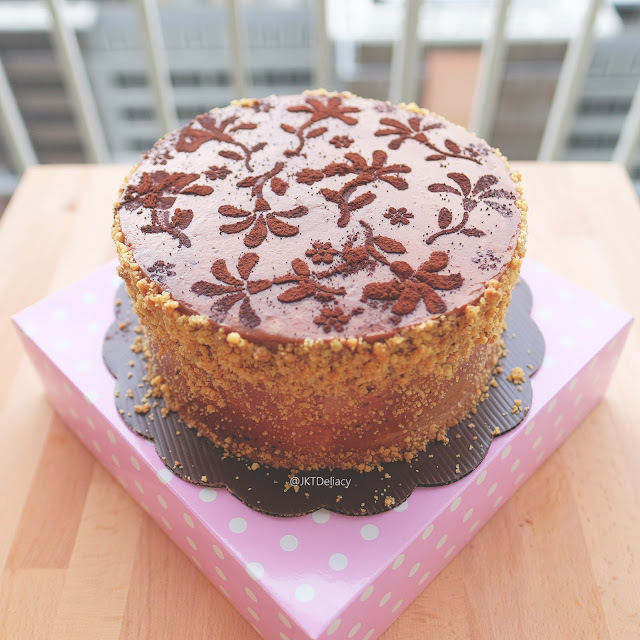 Especially during the Christmas, this is great for present to your family or relatives!